After weeks of renovation, Mango Tree has reopened its flagship store with new interior design and an innovative new menu perfect for adventurous appetites of modern diners. The new Mango Tree now seats 200 diners where they can enjoy the high-ceiling restaurant with plants and greenery. The restaurant also features a show kitchen, a special wine room and comfortable booth seats for restaurant views. Other than the noticeable interior revamp, Mango Tree worked extremely hard on their menu making sure that they serve new dishes for the "Purists" who appreciate traditional Thai cooking and for the "Adventurous" who are in search of new tastes from the four regional cuisines of Thailand. 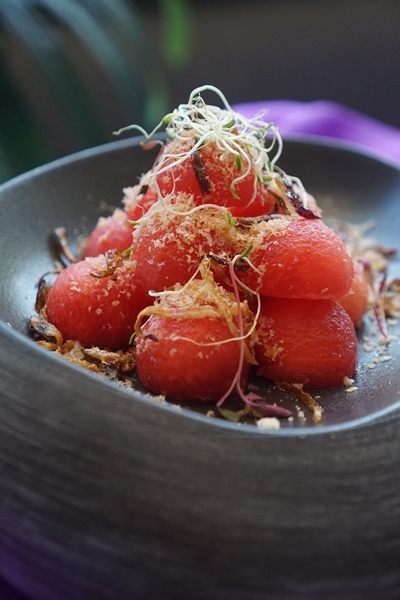 Start your meal with something fresh and order the Watermelon Salad with Dried Shrimp Floss (P300). It is refreshing, sweet and savory – all in one bite. 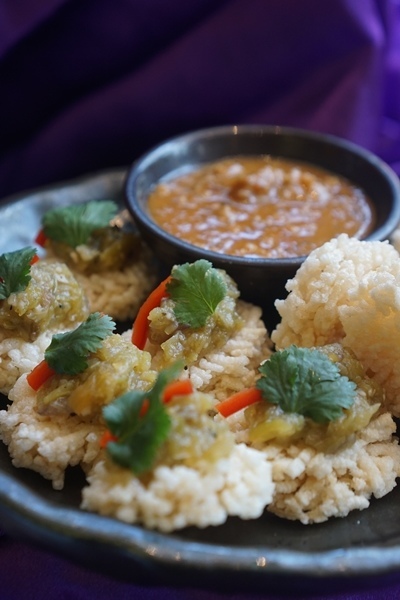 Prep your palate with something that packs a little heat with the Crispy Rice Crackers with Thai Relishes (P380). It's impossible just to eat one piece! 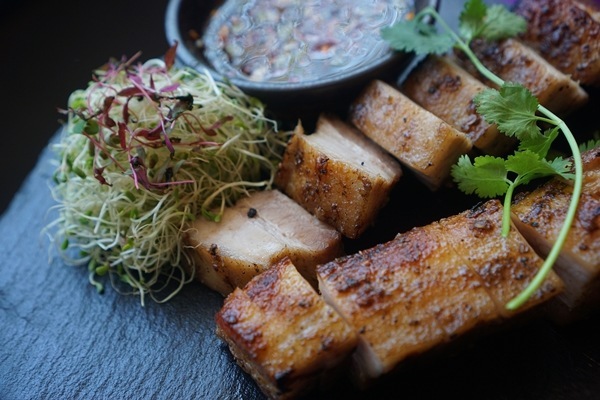 If there's one thing I love eating when in Thailand, it's their grilled pork or Moo Ping so I was thrilled when I saw Mango Tree serve up some Grilled U.S. Pork Belly (P650) or Kor Moo Yang served with a spicy Thai dipping sauce which is tangy. It is served fresh off the grill so you can enjoy the smoky flavor. 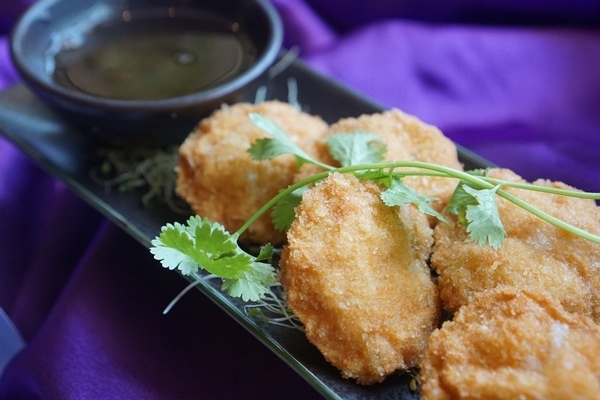 There's also the Shrimp Cakes (P420) which is a simple dish but packs with great flavor. It has a crisp outer layer and a generous amount of ground shrimp. Make sure you dip it in their sweet plum sauce! 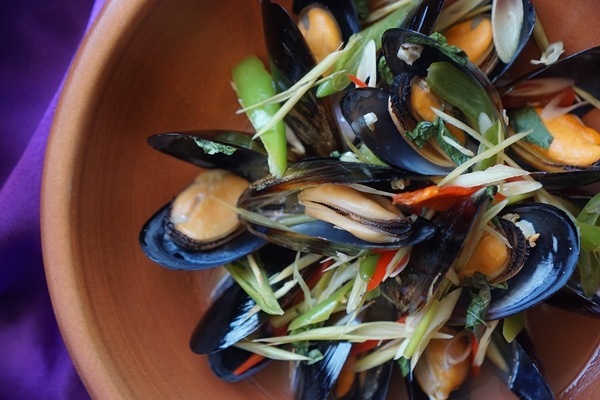 The Steamed Chilean Black Mussels in Tom Yum (P480) is another must-try, it has fresh mussels steamed in a sour tom yum broth. 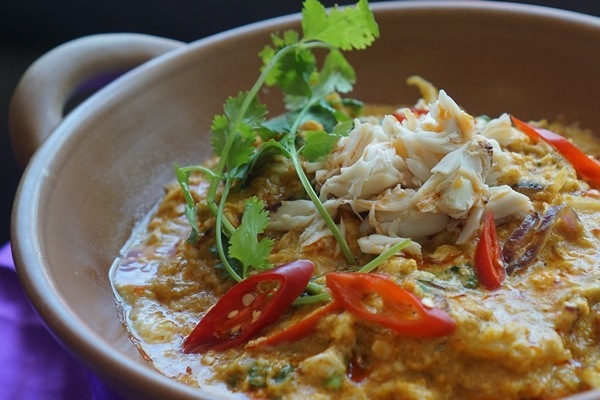 The real highlight of the spread is the Stir-fried Crab in Curry Sauce (P1,150) which has plump pieces of crabmeat with egg in a yellow curry sauce. Don't say we didn't warn you but you'll be needing a few spoonfuls of warm rice for this! 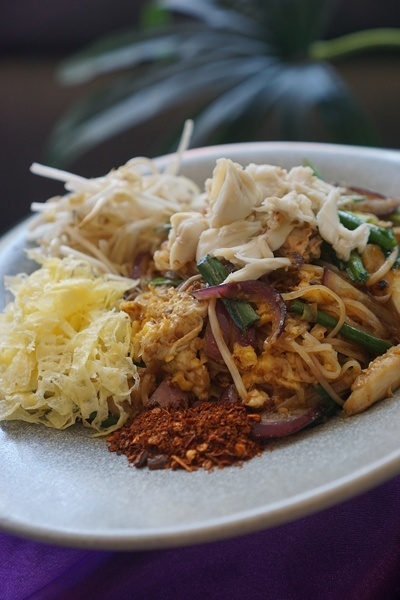 If you love Pad Thai like me, you need to order their Stir-fried Rice Noodles with Crab Meat (P580) which is an upgrade to the classic pad thai, making it even richer with the fresh crab meat. 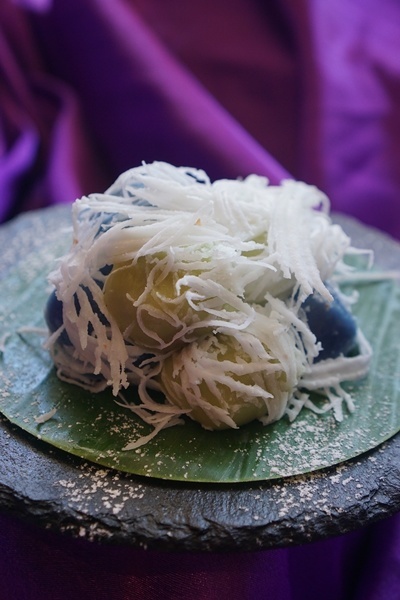 This may sound like a Japanese dessert but this Thai-style Mochi (P280) is a the perfect meal-ender to a great Thai feast. 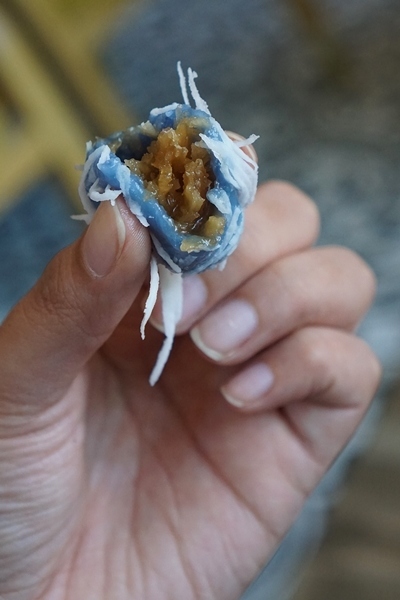 Each piece has a special sweet filling in glutinous rice balls and covered with shreds of coconut meat. 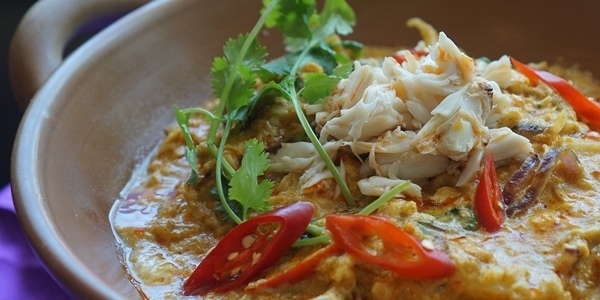 Mango Tree definitely knows how to turn classic Thai flavors into something modern! Visit Mango Tree's flagship store at 7th Ave. Bonifacio High Street Central, Bonifacio Global City. For information and reservations, call (02) 217-2367. 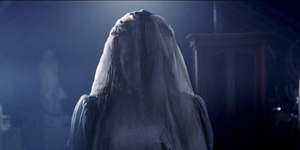 Follow them on Facebook and Instagram for exclusive promotions.